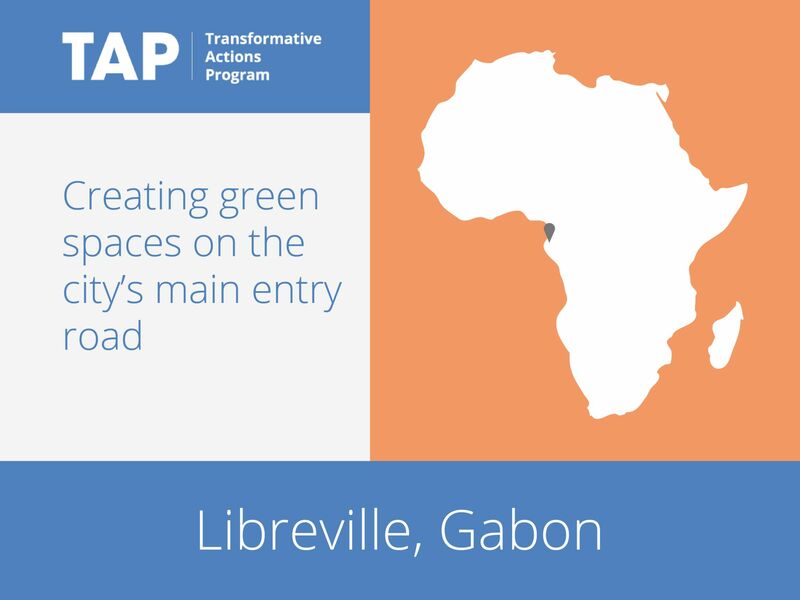 The main entry road to Libreville from its airport will be transformed to provide a green entry point to the city. Trees will be planted and solar panels installed, both to reduce emissions and to create a more relaxed and pleasant environment for citizens. Along the road, parking and relaxation spaces will be developed. In the long term, the city hopes that this transformation will influence the attitude of citizens and prompt further green developments in the city.